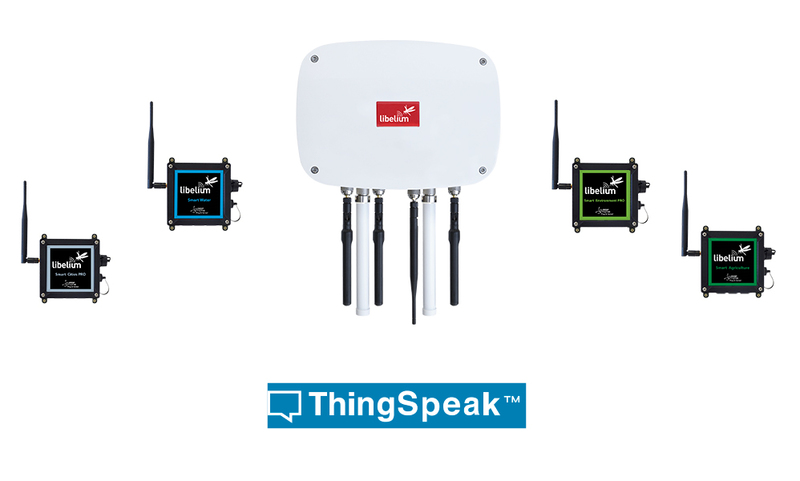 Libelium announces the integration of ThingSpeak™ with its sensor platform through the Meshlium IoT Gateway. With this announcement, ThingSpeak joins Libelium’s IoT ecosystem, now comprising more than 100 partners. This fact reflects the wide range of compatibility that Libelium offers, giving customers access to develop IoT projects involving different cloud platforms to offer a quicker and easier adoption of IoT solutions. 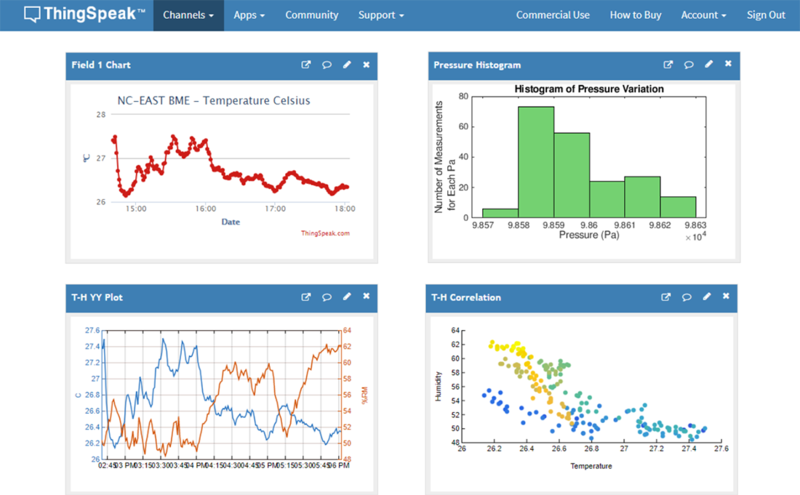 ThingSpeak is a MATLAB® enabled IoT analytics platform from MathWorks®, the leading developer of technical computing software for engineers and scientists. With ThingSpeak, users can view instant visualizations of live data from any Internet-connected web browser and schedule MATLAB code to run live analyses and visualizations as new data arrives. To accelerate the development of IoT analytics, MATLAB offers a full set of statistics and machine learning functionality, plus advanced methods such as nonlinear optimization, system identification, and thousands of prebuilt algorithms for signal and image processing. The addition of the ThingSpeak connector to the Meshlium IoT Gateway enables commercial and academic users to quickly develop new software applications for analyzing and visualizing data from Libelium’s sensor platform. Libelium sensors are used in a variety of vertical applications like air quality monitoring and smart agriculture that are also common applications for users of the ThingSpeak platform. “The new integration between the Meshlium IoT Gateway and ThingSpeak will allow our customers with mutual interests to quickly analyze their data in the cloud with MATLAB,” states Eric Wetjen, Sr. Product Marketing Manager, from MathWorks. MathWorks provides tools to design custom IoT analytics and algorithms and to deploy these analytics in-operation on an asset, at the edge or in the cloud. With these tools, engineers and scientists can transform IoT data that they have collected, prototype predictive models based on that data, and deploy these models for production IoT applications. Libelium is currently shifting its strategic focus from sensor devices to its Meshlium IoT Gateway to extend its presence in the whole IoT value chain allowing the development of end-to-end solutions. “The great interoperability of our IoT platform allows customers to access to new market opportunities by connecting any sensor or even any device to any cloud platform through any wireless communication protocol”, Alicia Asín, Libelium CEO, states. The company is continually enhancing the accuracy, reliability and quality for applications such as Smart Parking, Smart Environment, Water Management, Air Quality Index, Smart Agriculture and many others that will be showcased at IoT Solutions World Congress in Barcelona next week.